Creating great or even good content has never been easy. But now it seems like it is harder than ever before. There are new rules, and there are different audiences. No longer are you just writing for your customers or enthusiasts. 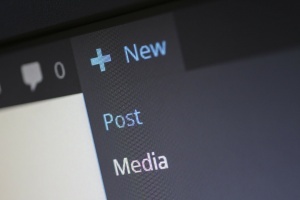 You are now writing for social audiences, that expect you to be just that – social. And you are writing for the search engines, that require a certain amount of technicality, but at the end of the day, still has to be easy to read and understood for your original customers and enthusiasts. Short of paying a lot of money to have someone write good content for you and for your website, we at UpShift Digital wanted to give you a few tips. Follow these relatively easy recommendations, there are only six of them, and your website content will immediately begin performing better for you. If you ever use the Yoast Content Analysis Tool, when working to optimize the content within your site, chances are pretty good you have heard of the Flesch Reading Ease Score. It is a simple test to see if your text is easy enough to read – both for the customer and the search engine. ‘Readability’ is first and foremost an audience tool – there isn’t definitive proof that Google is using it as an organic ranking factor in its algorithm or not. If your text is too difficult to read it will negatively impact your bounce rate – which WILL impact your ranking in the long run. There are three score ranges in the Flesh Reading Ease Score. The highest score, 90 – 100 means that your content could be understood by an average 11-year old student. Remember if you were ever trained to write for a newspaper, they suggested you write for a reader at a 5th grade level – that is this score. The middle score – 60-70 – is easily understood by 13-15 year old students. This is where your site content should be. The lowest, which we recommend to be avoid, is 0-30, which is best understood by university graduates. Of course, the demographic make up of your audience will play into the importance of where your site falls on this scale, but a good rule of thumb is, if your site is promoting or selling a product or service, you would be best to remain in the middle. What do I do to fix a low or difficult Reading Ease Score? The first recommendation has to do with word selection. Avoid flashy, difficult to pronounce, multisyllabic words (like that one). You are no longer trying to impress your high school or college English professor, you are trying to explain what you do to the common person. Another easy step to a better Reading Ease Score is simply with sentence length. Shorter sentences are easy to read. Shorter sentences are a sign of well optimized content. It is recommended that you have at least 75% of the sentences in your page’s content with under 20 words. Over twenty words you can likely cut it up into two sentences, or more. Shorter paragraphs, less than 150 words per paragraph, are recommended as the maximum. Making sure all of the information in the paragraph is about the same topic should indicate when it is necessary to move to a new paragraph. It is recommended that 30% of your content’s sentences contain a transition word or phrase. Avoiding passive voice is one of the more difficult rules to remember. Everyone who has taken a college English class has been scolded for PV. The best way to remember passive voice is to clearly state what subject is causing the action, or the action is being cause upon, instead of the other direction. If I had written the opening sentence of this paragraph in passive voice, it would have read ‘One of the more difficult rules to remember, is avoiding passive voice.’ Passive voice is the key subject. For another example, if you are writing content for a Massage Therapist use the sentence ‘Our CranioSacral Therapy will relieve stress and tension,’ rather than ‘Stress and tension are relieved by our CranioSacral Therapy.’ It is okay to use a little passive voice, but try to have less than 10% of your sentences containing it. The last two rules of writing Google friendly content include the total number of words on a page or at least between sub-headers. By the way – sub-headers are important too. When initially creating your page content, determine what your focus keyword or phrase for the page will be. This doesn’t actually get sent to Google, however it will help you gauge how well you are doing making sure your key product, service or point is being made to the search engines. The recommended page word count is at least 300. If you are way over 300, think about inserting another sub-header, but make sure you have at least 300 words under each. Craft your content around that focus keyword, but do not over do it. This is a relatively new Google rule – keyword density – where we used to advise that you insert the keyword over and over, it ultimately led to unreadable content and high bounce rates. Google then began to penalize for it. Try to keep keyword density below 2.5% of all words used. If your word count is the recommended 300, then at goal 2.5% is 7 times. If your keyword is also part of your name, those uses of the keyword count as well. Try using your name without the service identifier to make sure your density is appropriate. In summary, these six rules can be broken down to keeping your sentences short and simple. Make sure to have a sub-header, at least 300 words and don’t get too crazy with the use of your focus keyword. Use it no more than 7 times every 300 words. Following these rules will give you faster impact on search engines, make your Pay per Click more effective and ultimately increase your lead count. Still need some help? The team at UpShift Digital is happy to review your site content for you and give you some pointers for free. Or for a small fee, we will write it for you. Give us a shout, let us help.